The future is now, and in some ways, it is hard to tell if that is necessarily a good thing or bad thing. Technological innovations bring along with them a flurry of benefits and advantages that previously could only be dreamt of. However, with every brand new technological advancement there are always the possibility that they also bring along unforeseen consequences. These possibilities are especially true when it comes to the idea of self-driving trucks. The true impact of self-driving trucks is unknown, but can be predicted in how it will affect the trucking industry as a whole. Faster and more efficient deliveries? One of the first potential side effects that come to mind with the emergence of self-driving trucks is how exactly they will affect the deliveries they are making. Ideally, if the truck is self-driving, then that should result in faster and more efficient. 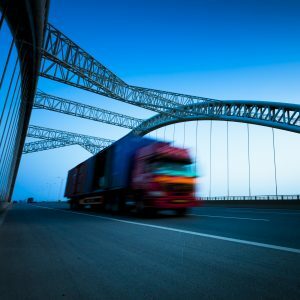 Although some self-driving trucks still require a driver to handle the system, the vehicle is doing all the work, they still eliminate the possibility of driver error and allows for the possibility of the deliveries to go more smoothly than ever before since the truck driver is not doing the actual driving. Obviously if the trucking industry starts utilizing self-driving trucks, there will be a clear and present impact on truck drivers. There is already a shortage of truck drivers in the industry and a self-driving truck would eliminate the need for trucks to be manned by a driver. This means there will no longer be a struggle to find drivers anymore since the self-driving truck will not always require one. However, if self-driving trucks become universal, then that could result in all truckers losing their jobs and becoming unemployed. Thus, turning a once beneficial job into one that does not even exist anymore. When it comes to truck driving, there are a variety of safety concerns that come with it. Mirrors need to be properly managed, drivers need to remain calm, and also know how to carefully navigate the road. Self-driving trucks possess the potential to increase safety while on the road as they can help prevent accidents, while also reducing driver stress which is always a large safety concern. Whether you are looking to upgrade your fleet to tow trucks or simply interested in the latest trucking technology, you can rely on Baltimore Freightliner-Western Star. We have provided top-notch service for the trucking industry for 30 years and would love to assist you in buying a new top-of-the-line truck, finding the specialty parts you need, or repairing your truck. Give us a call toll-free at 800-832-7278 or locally at 410-685-4474, or contact us online. To find out more about what we are up to, follow us onFacebook, Twitter, Pinterest, and Google+. This entry was posted on Friday, August 10th, 2018	at 5:57 pm	and is filed under Trucking News	. You can follow any responses to this entry through the RSS 2.0	feed. Both comments and pings are currently closed.